1. 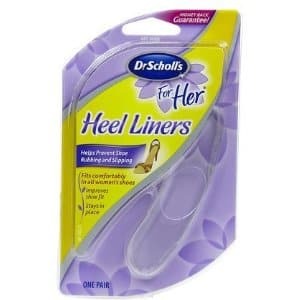 Click here to print a coupon good for $2 off any Dr. Scholl’s For Her product. I’m not sure how it is at other Targets, but the one I work at doesn’t accept both coupons if they exceed the price of the item. In other words, we cannot owe you money. Wish it weren’t true because then I would totally get stuff for free all the time. They are supposed to adjust the coupon down to what ever is left of the price of the item. Here’s how you get around that. Make sure you have one extra item in your basket that you don’t want or need. When your basket has been scanned and totalled, *then* give them the coupons. Since the total on the register won’t get to zero (or less than zero) since you have one item that doesn’t have a coupon attached to it, you’ll get the full deduction of the coupons for your freebie items. Pay the difference and get your receipt. Go immediately to the customer service counter and return the item you didn’t want. More than likely, you’ll actually get back more than you paid, so you end up making money on the freebie coupons. It states on the manufacturer’s coupon that only one coupon per purchase. Then how am I suppose to use a target coupon along with that?